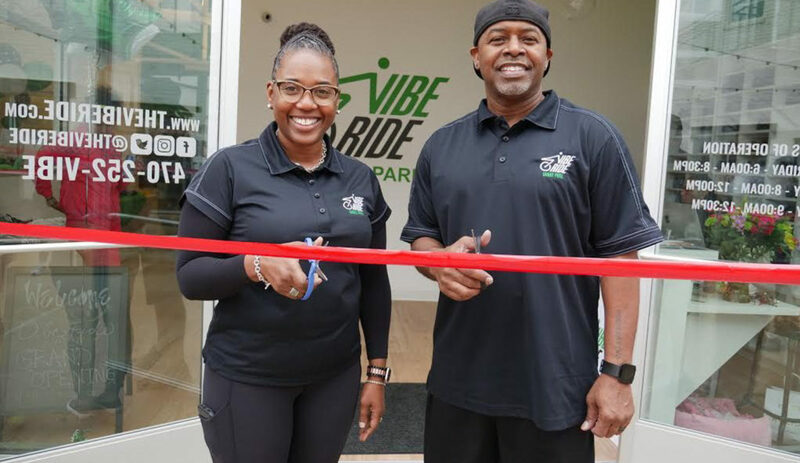 Vibe Ride Grant Park Owners Al and Shawn Ware unveiled the newest location in Atlanta’s Grant Park on Saturday, February 10th. 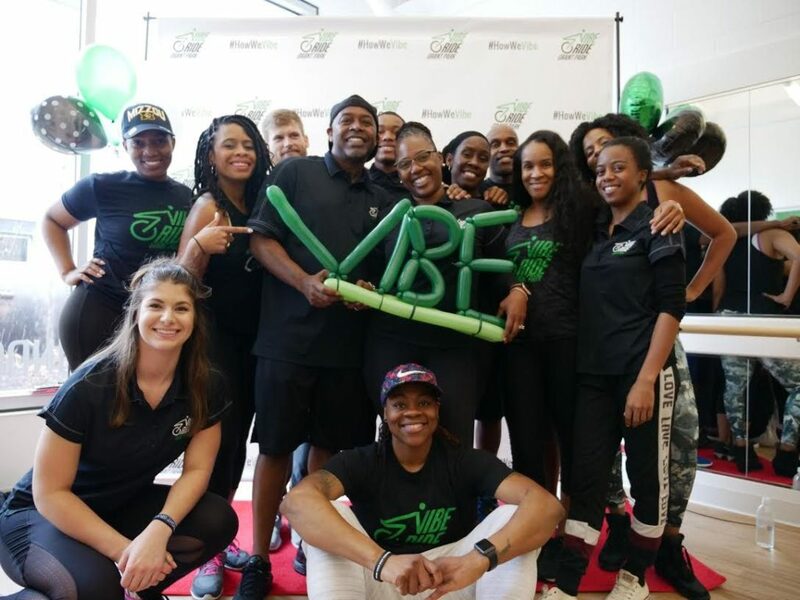 The grand opening festivities included appearances by local influencers, celebrities and fitness enthusiasts and will also feature a special ribbon cutting ceremony, vendors, specialty cycling classes, a live DJ, free gifts and more. 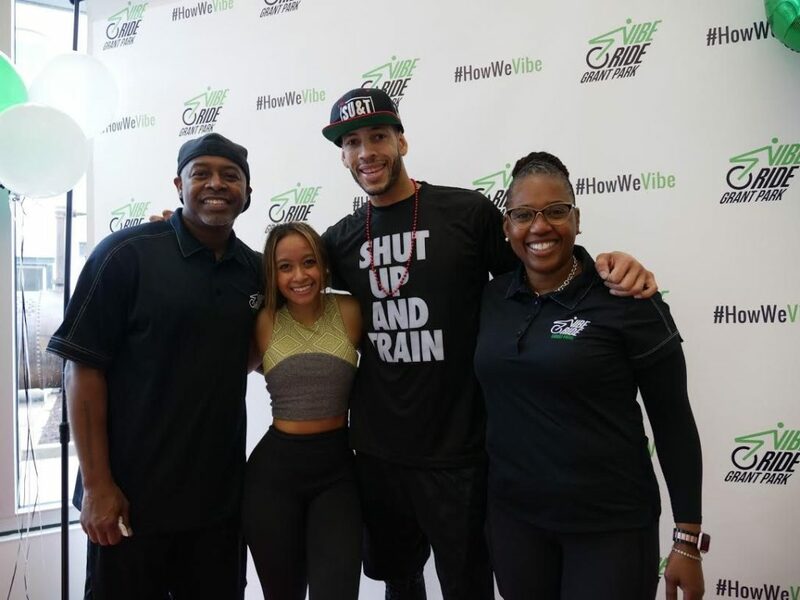 Motivated by their love for fitness, entrepreneurship and each other, Al and Shawn Ware are thrilled to bring Vibe Ride to Grant Park. The indoor-cycling studio offers a variety of classes including rhythm-based, dance-inspired, total body indoor cycling classes that feature the latest fitness technology and state-of- the art sound and lighting systems. 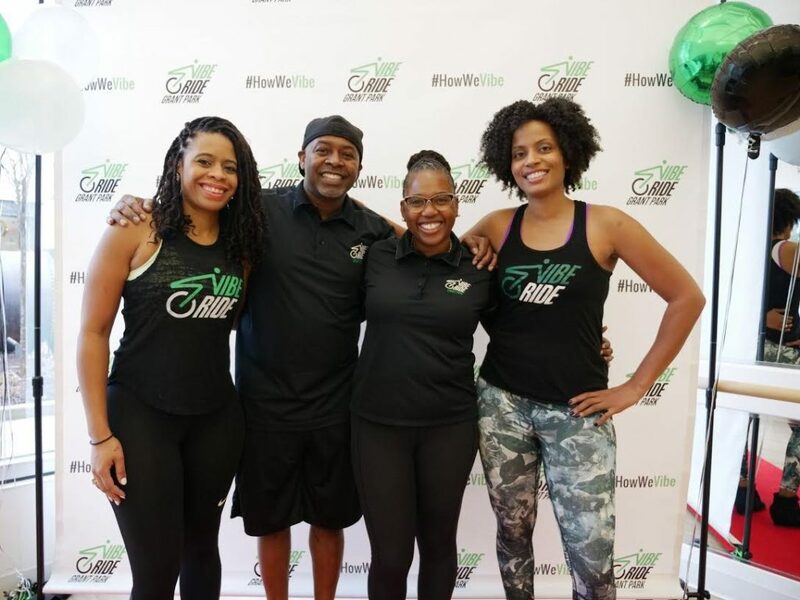 The grand opening event included classes with celebrity trainer, Rahman “Shut Up and Train” Grayson, Umama of Atlanta multimedia maven and others. Attendees also enjoyed amazing vendors and free gifts from brands like: Kale Me Crazy, Grant Park Market, Kind Bar, Luna, Lululemon, Spanx, Keel Vodka and many more. For class schedules or more information on Vibe Ride – Grant Park, visit www.TheVibeRide.com.